Can the International Court of Justice Rule on the Competency of the then Minority United Nations, in 1947, to Arbitrarily Partition Palestine? 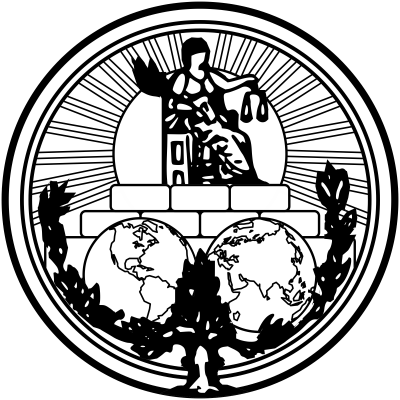 In view of the fact that, in 1947, the then newly-established United Nations represented just 57 states internationally – an obvious global minority -whereas there are now nearly 200 independent member states representing the entire global demographic, there would appear to be a legitimate case to re-submit a formal application to the United Nations International Court of Justice to rule on the competence of the UN General Assembly of 1947 to have partitioned the then region of Palestine against the wishes of the majority of its inhabitants i.e. the million indigenous Palestinian Arabs, in order to facilitate the migration to there of hundreds of thousands of stateless refugees from post-war Europe, on the tenuous hypothesis that nearly two thousand years previously there had been, according to a subsequent biblical text written centuries later, a Hebrew settlement somewhere in the region. In effect, for a newly constituted, minority representative United Nations to have resolved to partition the land of Palestine, in the Muslim Middle East, to accommodate the victims of a war on another continent, i.e. Europe, upon the wishes of an AIPAC-influenced, American president, Harry S Truman, would appear to have been an illegitimate act of international expropriation. A concerted effort of political expediency by a lobby-influenced America to dispose of the inconvenient problem of hundreds of thousands of displaced citizens from war-torn Germany, France, Poland, Hungary and elsewhere in Europe who had lost their families, homes and livelihoods, and to dump them in a foreign land thereby divesting Europe, and America, of any liability. It should be clearly noted that all of the Middle East states affected by the proposal to establish a foreign entity in their midst, formally voted against the proposed UN resolution and gave clear notice to the then United Nations General Assembly that such a resolution would be considered an act of war against the indigenous population and that such an illegitimate act of forced settlement would never be acceptable. And it never has been. ‘The result was 33 to 13 in favour of the resolution, with 10 abstentions. Independent Arab and Jewish States and the Special International Regime for the City of Jerusalem, … shall come into existence in Palestine two months after the evacuation of the armed forces of the mandatory Power has been completed but in any case not later than 1 October 1948. The Arab countries (all of whom had vehemently opposed the plan) proposed to query the International Court of Justice on the competence of the General Assembly to partition a country against the wishes of the majority of its inhabitants, but the resolution was at that time rejected.